Going to the dentist can be stressful enough without having to worry about referrals to other specialists or providers that you don’t know or feel comfortable with. Wouldn’t it be great if you could rely on your own dental practice for all of your dental needs without ever having to be referred elsewhere? Here are some of the services you can expect to find when you choose a comprehensive dentist in Midland. Your all-inclusive dentist should include a wide range of preventive services as this is truly the cornerstone for achieving and maintaining optimum oral health. Consistent checkups with your dentist every six months can help you avoid bigger issues in the future with your oral health such as tooth decay, oral cancer, and periodontal (gum) disease. If you do find yourself managing gum disease, your dentist should be well equipped with services such as deep scaling and root planing and antibiotic therapy to help you successfully control your condition. If your tooth suffers from trauma, injury, or decay, it may need to be restored. 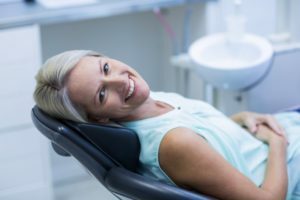 Your comprehensive dentist in Midland should offer options for dental crowns and fillings using the best materials possible to give you excellent aesthetics and durability you can rely on for many years to come. It is also helpful when you can rely on your dentist for services such as root canal therapy or extractions if you should find yourself dealing with an infected or compromised tooth. Implant dentistry is one type of service where many dentists turn to an oral surgeon for the implant placement procedure; however, many dentists have also undergone extensive training so that they can place implants themselves, and patients can enjoy the comfort of working with the dental team they already know and trust. Modern dentistry offers so many excellent options for improving and enhancing your smile. Your comprehensive dentist in Midland can help you determine which options may be the right ones to help you achieve the smile of your dreams. Is your dentist there for you when need them most? When you work with an all-inclusive dentist, you can rest assured that your emergency needs can be met in a timely manner that will get you back on the path to wellness as soon as possible. Choosing the right dentist to work with who offers comprehensive care will save you and your family stress, time, and money in the long run. For over 40 years the Boyles family has been taking care of patients in West Texas. We have focused on providing comprehensive care such as full implant dentistry and custom dentures that are hand crafted in our own laboratory. Now we’re adding Dr. Ken Etheredge to our team so patients have the added benefit and expertise of a third dentist. If you would like to contact our dentists, they can be reached by calling 432-685-7011 or through our website.